analysed the groundwater of the deep aquifers Cabo and Beberibe that are increasingly exploited. The processes potentially affecting groundwater residence times andflow paths have been studied using a multi-tracer approach (CFCs, SF6, noble gases, 14C, 2H and 18O). The mainfindings of these investigations show that: (1) Groundwaters of the Cabo and Beberibe aquifers have long residence times and were recharged about 20,000 years ago. 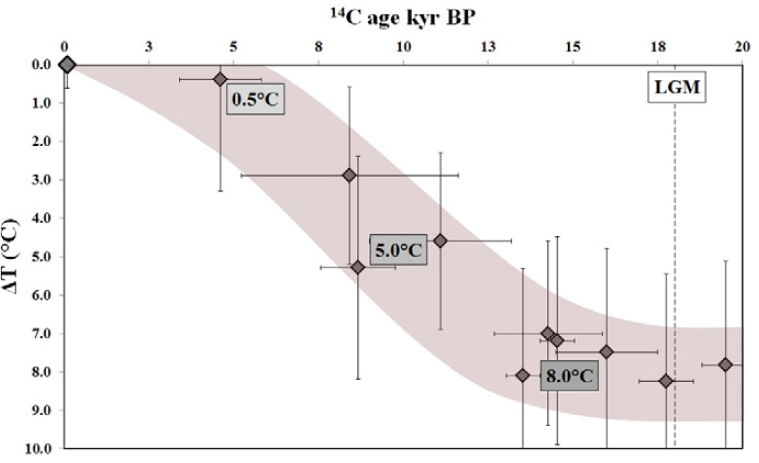 (2) Within these old groundwaters we can find palaeo-climate evidences from the last glacial period at the tropics with lower temperatures and dryer conditions than the present climate. (3) Recently, the natural slow dynamic of these groundwater systems was significantly affected by mixing processes with contaminated modern groundwater coming from the shallow unconfined Boa Viagem aquifer. (4) The large exploitation of these aquifers leads to a modification of theflow directions and causes the intrusion through palaeo-channels of saline water probably coming from the Capibaribe River and from the last transgression episodes. These observations indicate that the current exploitation of the Cabo and Beberibe aquifers is unsustainable regarding the long renewal times of these groundwater systems as well as their ongoing contamination and salinisation. The groundwater cycle being much slower than the human development rhythm, it is essential to integrate the magnitude and rapidity of anthropogenic impacts on this extremely slow cycle to the water management concepts.